Gorgeous Condo For Sale In The Desirable Oceanfront Condominium Ocean Four. 2 Bedrooms And 2 Bathrooms. Marble Floors. Open Modern Kitchen With Stainless Steel Appliances(subzero & Miele), Floor To Ceiling Windows With Unobstructed Gorgeous Views To The Intracoastal And City, 2 Glass Balconies, 24 Hour Valet/security, Concierge, Modern Fitness Center, Health Spa. Prestigious Ocean Four Condo Is Located In The Beautiful New City Of Sunny Isles Beach, In Floridas Riviera. Ocean Four Condo Has Just 264 Residences In 45 Floors. Situated Directly On The Gorgeous White Sandy Beach. Ocean Four Sunny Isles Beach, South Floridas Premier Luxury Condominium Designers Implemented A Waterfront Dream With Spacious Floor To Ceiling Windows, Offering Incomparable, Breathtaking Views. Three Story Lobby,300 Feet Of Ocean Frontage, Beach Side Cabanas, Health And Fitness Center Featuring State Of The Art Equipment, Sauna, Steam Rooms And Lockers, Over Sized Heated Swimming Pool And Spa Overlooking The Atlantic Ocean, Lushly Landscaped Grounds, Multi Purpose Rooms, 24 Hour Valet Parking. Close To Restaurants, Food Markets, Banks And Convenience Stores. The Beach At Your Feet!!! To Visit This Amazing Two/two Split Plan Apartment With City View And Bay Views Where You Can Enjoy The Beautiful Sunny Isles Sunset. Located In The 17o. Floor With Open Kitchen, Top Of The Line Appliances, Granite Countertops, Subzero Fridge, Marble Floor, Built Out Closets & Wc. Luxurious Building With Pool, Jacuzzi, Full Beach Services, Restaurante At The Beach, Gym, Spa, Yoga, Pilates And Zumba Classes, Billiard & Party Room. Great Great Location, Minutes Away From Aventura And Bal Harbor Malls. One Parking Assigned And Covered Plus 24/7 Valet & Security. 2/2 In A Luxury Ocean Front Building With Ocean View From Every Room. Master Bed With Walking Closet. Marble Bathrooms. Jacuzzi Tub, Dual Sinks. Floor To Ceiling Impact Windows. Modern Kitchen, Granite Counters, Tops Of The Line Appliances. 5 Star Amenities Including 2 Story Lobby, State Of The Art Fitness Facility, Most Beautiful Swimming Pool, Spa, Billiard Room, Beach & Towel Service, Restaurant With A Beach View, 24h Security/valet. 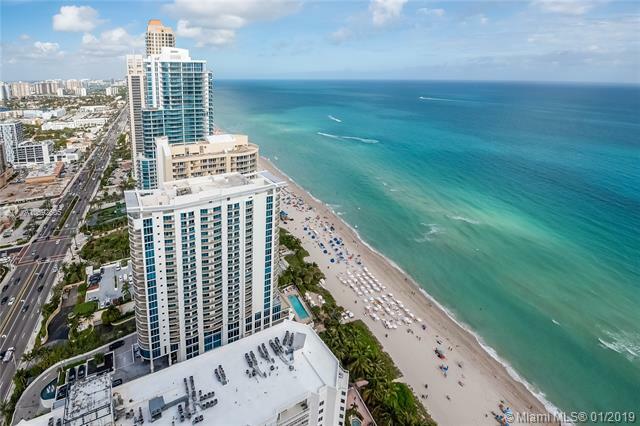 Excellent Location In The Heart Of Sunny Isles Beach! Ocean Four One Of The Best Buildings In Sunny Isles Beach : Location , Amenities, Five Star Service . Lots Of Light In The Condo , Great Kitchen With Miele Appliances. Customized Closets . Gorgeous Ocean Views From Both Of The Bedrooms . Very Cosy And Welcoming Floor Plan. The Best Time To Buy When The Buyers Market Is Very Strong ! Make An Offer We Will Negotiate ! Luxury Ocean Front Building. 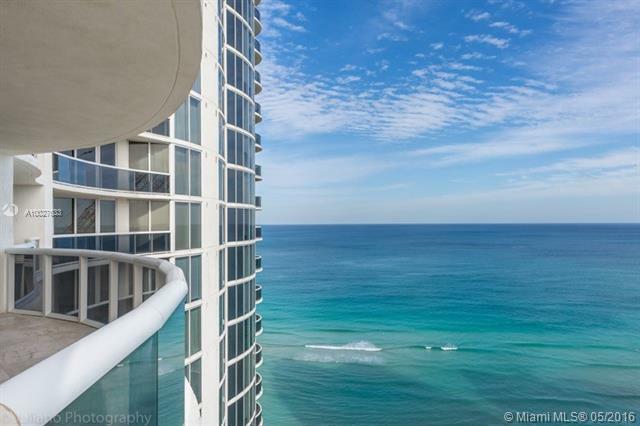 You Will Be Blown Away With This Amazing 2 Beds 2 Bath Residence At Ocean Four In Sunny Isles Beach. Only The Finest Materials And Finishes Were Used. French Ceilings, Marble Floors, Onyx Bathrooms And Eye Catching Italian Murano Chandeliers! Enjoy Subzero & Miele Appliances With Custom Built Bar In The Kitchen Area. Picture Perfect Ocean Views From Bedrooms And Living Room. Enjoy State Of The Art Amenities! Gym, Pool And Beach Service, Restaurant At The Beach! Residence Is In Immaculate Condition! Easy To Show! Price Is Negotiable So Make An Offer!click On Virtual Tour Please ! Luxury Ocean Front Building With Ocean And City View, 2 Bedroom Plus Den As A Third Bedroom, Marble Floor, European Style Kitchen,two Full Bathrooms, Custom Made Closets, Gym, Pool, Beach Service,yoga,pilates And Zumba Classes,restaurant At The Beach, 24 Hours Security And Valet. Investors Dream! Brkr Rmrks. Luxury Ocean Front Building, Direct Ocean Front View, Furnished 2 Bedrooms 2 Bathrooms, Marble And Wood Floor Floor, Italian Style Kitchen, Beach Service, Pool, Gym,restaurant At The Beach, Yoga, Zumba And Pilates Classes. 24 Hours Security And Valet Service. Brkr Rmrks. Luxurious Building, Best Priced 2 Bedroom/2.5 Bathroom Condo In Ocean 4. Marble Floors, Open Kitchen With Top Of The Line Appliances, This Unique Flow Through Unit Features A Balcony With Breathtaking Ocean Views To The East And Another With Sunset Views To The West. Wonderful Amenities In The Building, Fitness Center,play Area, Sauna, Pool, Walking Distance To Supermarket, Farmacy, Banks And Restaurants. Resort Style Condo With Chair And Towel Services At Both The Beach And Pool. Tenant Occupied Awesome Investment Spacious 2/2.5 With Stunning Direct East North Ocean And West Intracoastal Views, High Floor Unabstracted Ocean Views Purgo Floors In The Interior And Exterior Tile Floors In The Balconies, Beautifully Upgraded Residency Light Fixtures, Customized Closets Super Large Walking Closets, Upgraded Kitchen W/subzero Appliances, Huge Bathrooms. A Dream Come True! Unbelievable Opportunity To Reside In Luxury Ocean Four. Direct Oceanfront Fabulous Condo. 3rd Room Is A Den/office With A Large Walk In Closet. Open Floor Plan With Living Room, Dining Room & Kitchen Over Looking The Ocean. 2 Large Balconies (east And West) For Sunrises And Sunsets. 24 Porcelain Floors Throughout. Kitchen With Chefs Island, Modern Cabinetry, Meile & Subzero Appliances. Large Master Suite. Master Bath Features Jetted Tub, Glass Shower & 2 Sinks. There Are Custom Lighting Fixtures, Hurricane Impact Windows/ Doors And A Laundry Room. 5 Star Amenities Include Pool, Jaccuzzi, Gym, Cardio Room, Yoga, Steam Room, Ping Pong, Restaurant & Beach Chair Service. Prime Location On The Beach Across From A Park, Playground, And Plazas With Cafes & Shops. Walk To Pier. Minutes To Bal Harbor, Aventura Mall, South Beach, Airports & Casinos! Luxury Oceanfront Tower With Many Amenities Includes Spacious Grounds Wrap Around Pool Beach Side Restaurant Lounge Fitness Center Spa And More. Excellent Location In Sunny Isles Across From Shops , Restaurant Park. Highest Floor For This Penthouse . Floor Thru Unit With 2 Terraces Ocean And Intracoastal Views. Unit Is Vacant And Easy To Show. Gorgeous Ocean Front Condominium In This 2 Bedroom Plus Den, 2.5 Bathroom Unit. This 2,277 Square Foot Contemporary Condo Is An Ocean Front North Eastern Exposure Unit And Luxuriously Furnished With Every Amenity. Ocean Views From The Kitchen Area, Living Room. Spacious Walk In Closet. New Designer Kitchen And Finishes. Wake Up To The Sunrise, Play All Day In The Ocean, Relax On The Beach, Hang Out By The Pool, And Then Enjoy The Most Amazing Views Of The Moonlight Reflecting In The Ocean Waves. Luxury Building On The Ocean, 3 Bed 3 Full Bath And Powder Room, Direct Ocean And City View, Marble Floor, Windows Treatments, Europian Style Kitchen, Pool, Gym, Yoga, Pilates And Zumba Clasess, Beach And Pool Service, Restaurant At The Beach, Two Assigned Parking, 24 Hours Security,dorman And Valet. Brkr Rmrks. Stunning Oceanfront Apartment Being Offered As A Luxury Turn Key For The Most Exquisite Clients! This Unit Offers Direct Panoramic Ocean Views From Every Room, Be Ready To Be Amazed By Its Spectacular Layout And Elegant Finishes. With A Warm And Modern Design, This Spacious 3 Suites Apartment Is Ideal For Entertaining While Enjoying Breathtaking Ocean Views In A Spacious And Luxurious Apartment. Full Service Building With Gym, Spa And Concierge Services As Well As Beach Club. A Must See! Luxury Totally Updated Pent House 3,018 Sqf, 4 Bedroons, 4 Baths. Spectacular 360 Degrees Views. * Marble Throughout The Unit (24 X 24 White Calacatta) * Completely New Large Kitchen, Sub Zero And Miele Appliances. * Custom Made Closet From California Closets. * Hunter Douglas Motorized Shades. * New Italian Doors From Italdoors. Two Assigned Parking Spaces Close To Elevator, And One Valet Parking. Building Has Great Amenities Such As Steam Rooms, Massage Room, Gym, Restaurant/grill On The Beach. Located On The Marvelous Beach Of Sunny Isles!